Warning: descriptions of bonobos' sexual behaviors may upset some readers. In the rainforests of the Democratic Republic of Congo lives a remarkable primate called the bonobo. Previously, we believed humans closest relatives were chimpanzees, but not it was discovered that bonobos also share close to 98 percent of their DNA with humans. 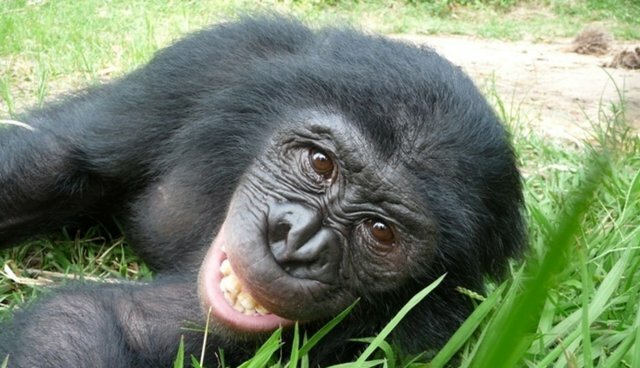 Chimpanzees and bonobos are both equally our first cousins.